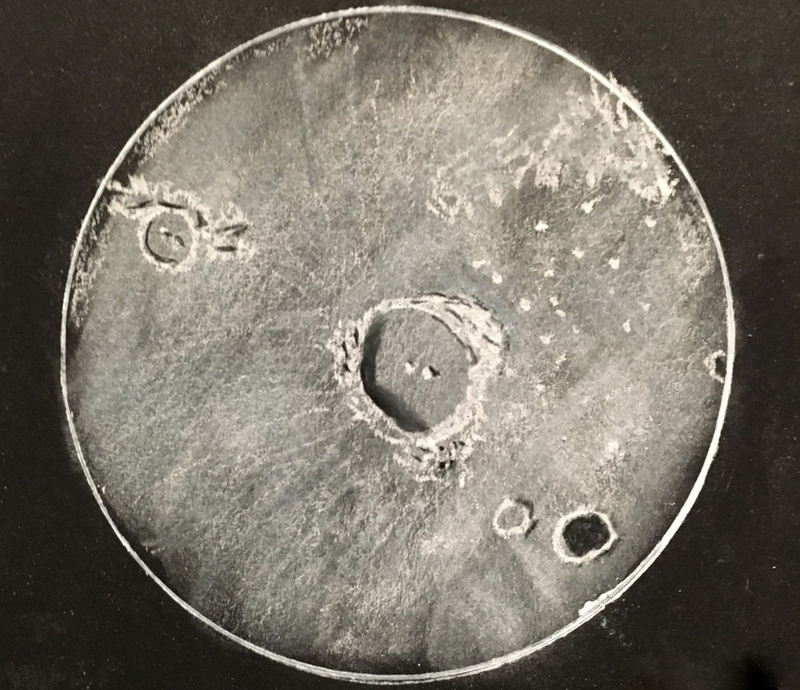 We were awed recently with the discovery of some lunar sketches made with our Panoptic eyepieces and Powermate™ image amplifiers on AstroBin.com. They capture a three-dimensional perspectives of lunar features that photographs tend to flatten out. 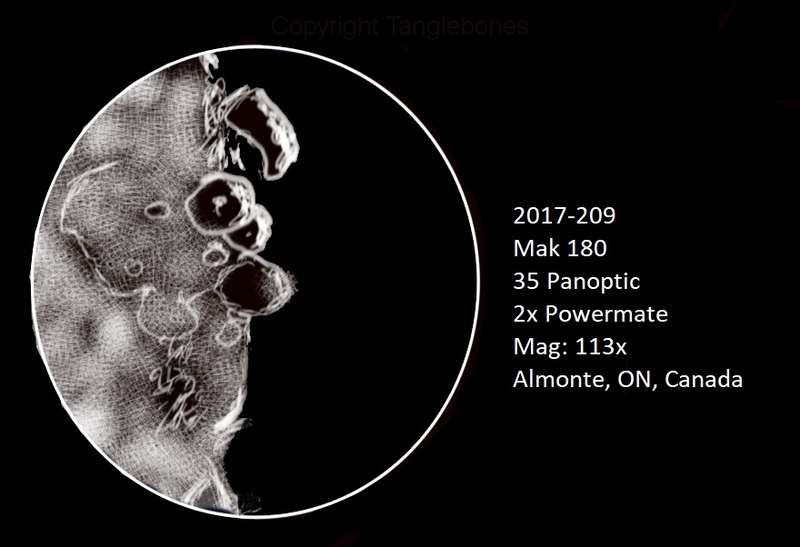 So we contacted the account holder — “Tanglebones” — for permission to use his images. He agreed and all the modern sketches on this page are his. We also learned why he uses Tele Vue equipment for his sketching. I love my Tele Vue optics. Being relatively new to astronomy, I quickly realized what reputation they have in the community and decided to try them for myself. I just recently acquired three in the Delos range, but haven’t had much chance to use them yet — though, from the brief look I saw through them, they are already in my good books. That 35-mm Panoptic, however, is my absolute favourite so far. It is the widest field stop I can use without vignetting in my SW Mak 180 and is my “go to” eyepiece. When that scope has finally cooled down to equilibrium, the views through the “35P” are marvelous. My favourite view of M42 was with that combination, and I couldn’t drag my eyes off the folds and folds of nebulosity I was seeing. Theophilus, Cyrillus, Catharina & Mare Nectaris by AstroBin user Tanglebones. Copyright by the artist. Used by permission. While sketching the moon has a long tradition, the modern sketcher does not necessarily use the traditional tools of old. On his AstroBin page, Tanglebones explains his drawing process. Autodesk Sketchbook running on a Microsoft Surface Pro, and using the Surface Pen as a stylus. This allows me to put the black background on the base layer, the FoV circle on a middle layer, and the sketch itself on a top layer. Plato and Montes Alpes by AstroBin user Tanglebones. Copyright by the artist. Used by permission. The first-ever astrophotographs were taken in the late 1830’s. The natural target for these were the moon: it was relativity bright and had large-scale surface features that would show well in photos. But lunar sketchers did not put down their tools at that time. In 1878, Dr. J. F. Julius Schmidt published a 25-plate, hand-drawn, lunar atlas called the “Charts of the Mountains of the Moon”. It was considered the finest, most detailed, lunar atlas produced at the time. 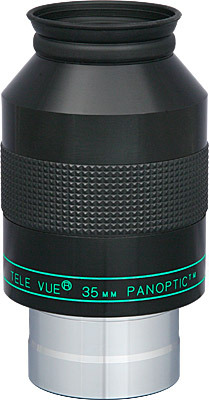 Tele Vue 35mm Panoptic . 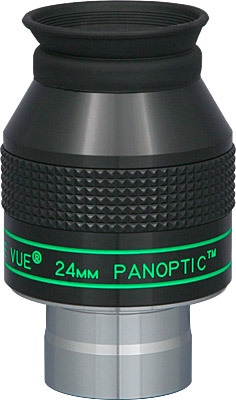 The 35mm Panoptic (“Copernicus” and “Theophilus…” sketches) has a 2″ barrel with a 38.7mm diameter field stop and a generous 24mm of eye-relief. When combined with a Paracorr to correct the coma of an f/4.5 Newtonian, performance is spectacular across its 68 degree apparent field of view. Imagine, sharp star clusters at the extreme edge of the field along with a 6.8mm exit pupil! The 24mm Panoptic (“Plato…” sketch) has a good 15mm eye-relief and offers the widest true field possible in an 1¼” barrel eyepiece — just like our 32mm Plössl. The advantage over the Plössl is higher power that darkens the sky background while yielding more details on extended objects. Small size, tapered top, and widest true field make this eyepiece awesome for bino viewers. All Panoptic eyepiece have a 68° Apparent Field of View and consists of six elements in four groups. Every Tele Vue eyepiece is personally tested at f/4 to ensure the sharpest full field possible. 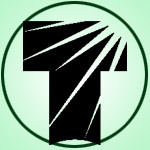 It is the nature of optics that being the best in fast scopes also always assures the best performance in “slow” scopes. The finest performance requires the finest materials such as high index lanthanum and fluorite type glasses, in some cases costing up to 15x more than ordinary glass types. At Tele Vue we ask “how can we make it better”, rather than “how can we make it cheaper.” We think you’ll agree that the views are worth it. Every eyepiece is fully multi-coated, has blackened lens edges and anti-reflection threads for maximum contrast. Chrome plated barrels, which resist scratching and marring better than black anodized barrels, include safety undercuts and threads for filters. Upper barrels are black anodized aluminum with a rubber grip ring, engraved identification, and fold down rubber eyeguards. Why Choose Tele Vue Eyepieces advice on our website (mobile version) explains what makes our eyepieces different. More advice from Tele Vue on choosing eyepieces (mobile version) including for specific model scopes. Previous Previous post: March 17th: Let the Messier Marathon Begin!